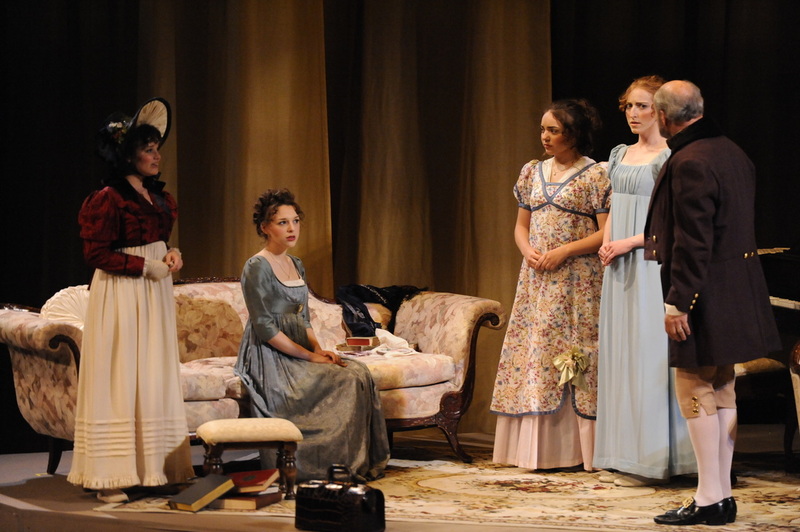 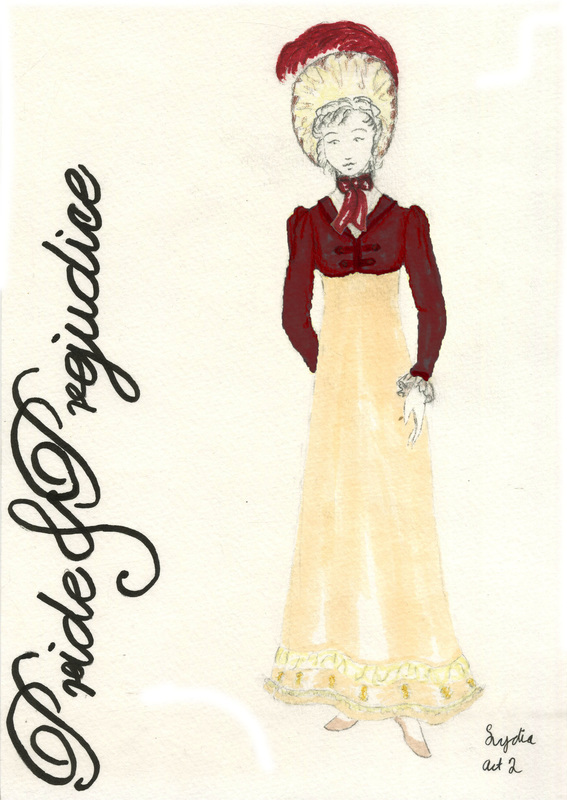 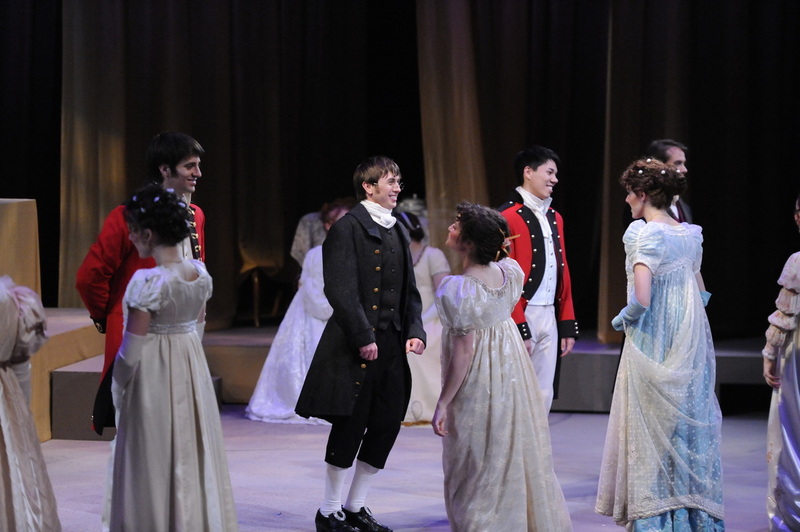 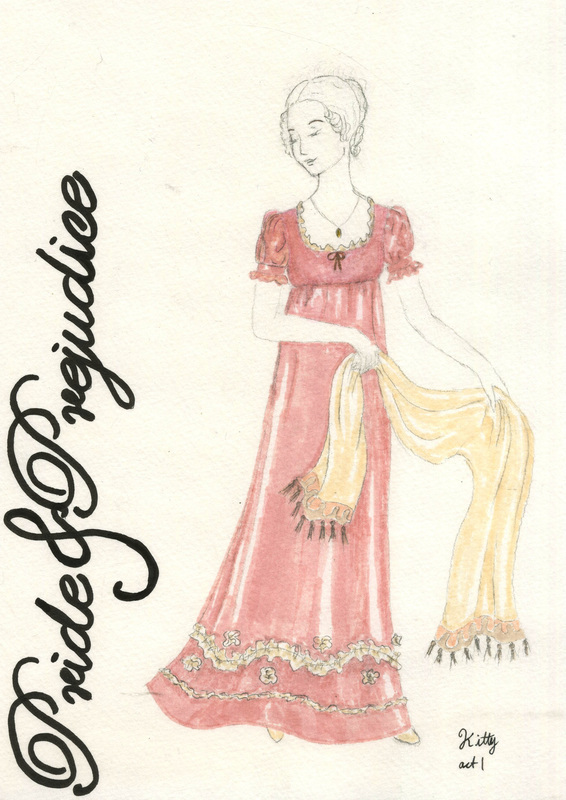 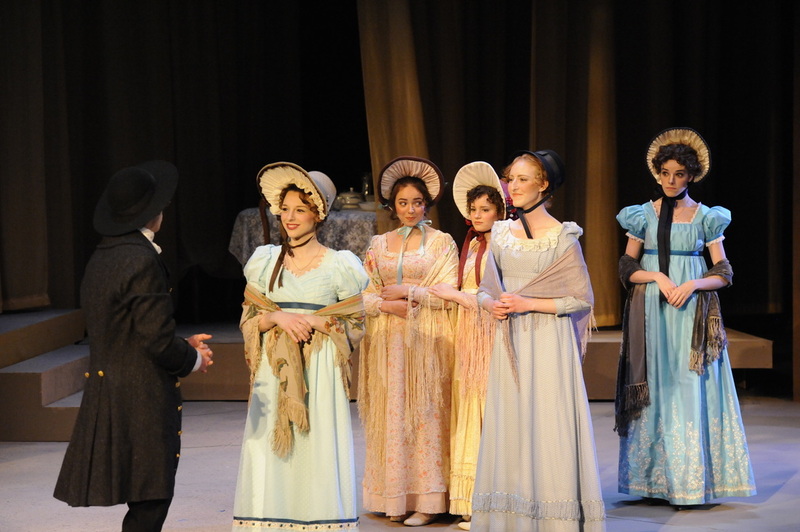 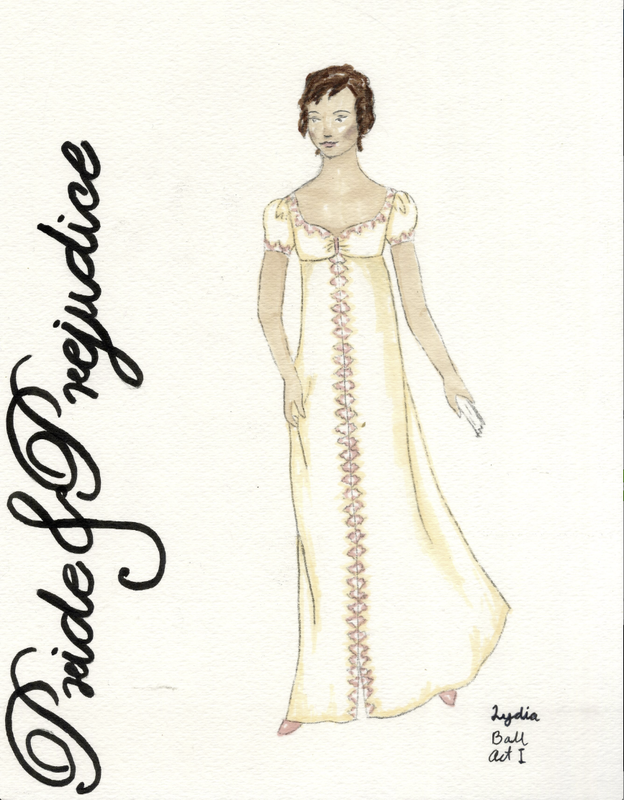 This was the premiere of a new script based off of Jane Austen's Pride and Prejudice. 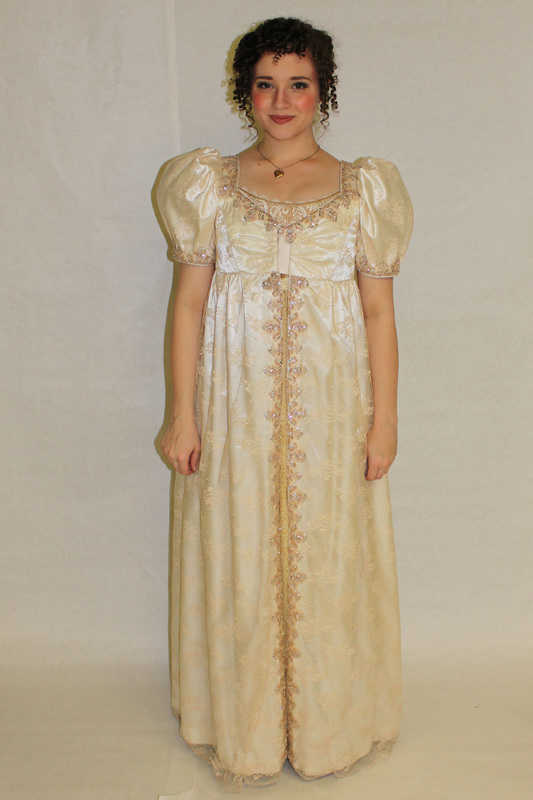 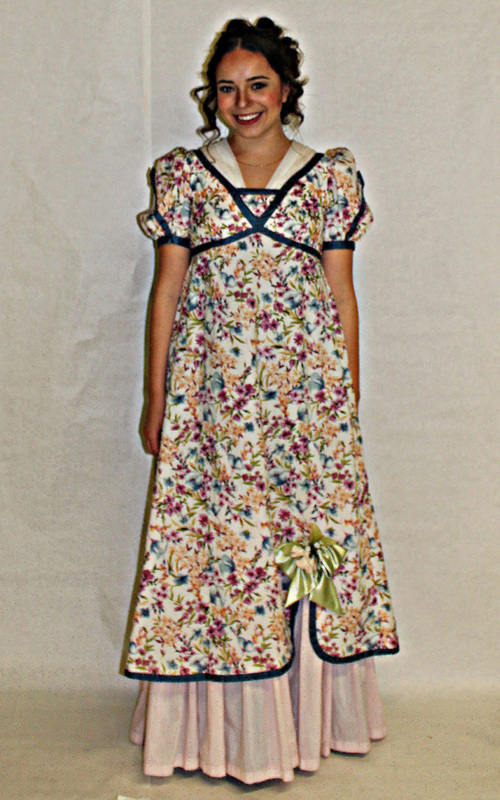 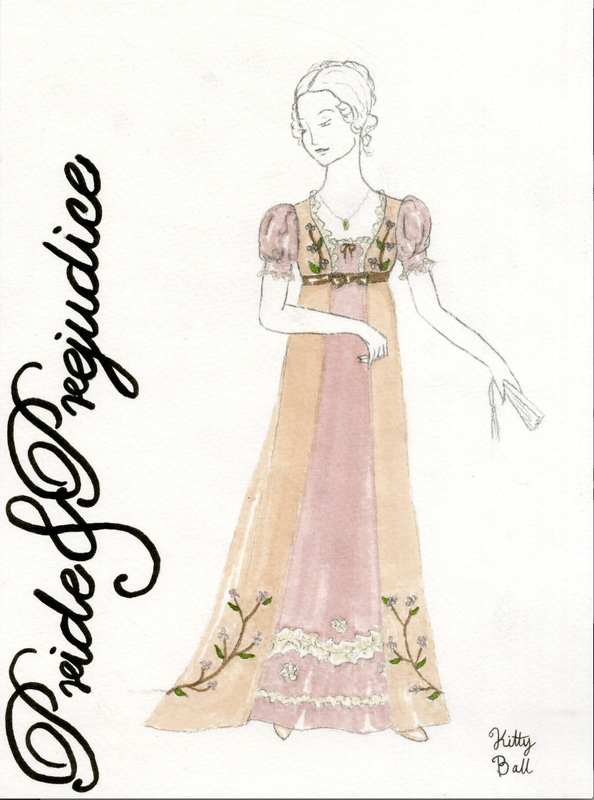 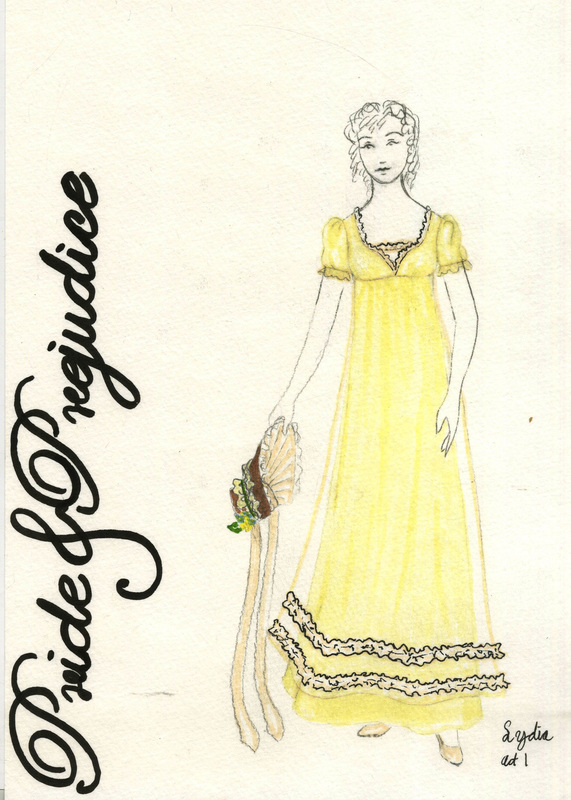 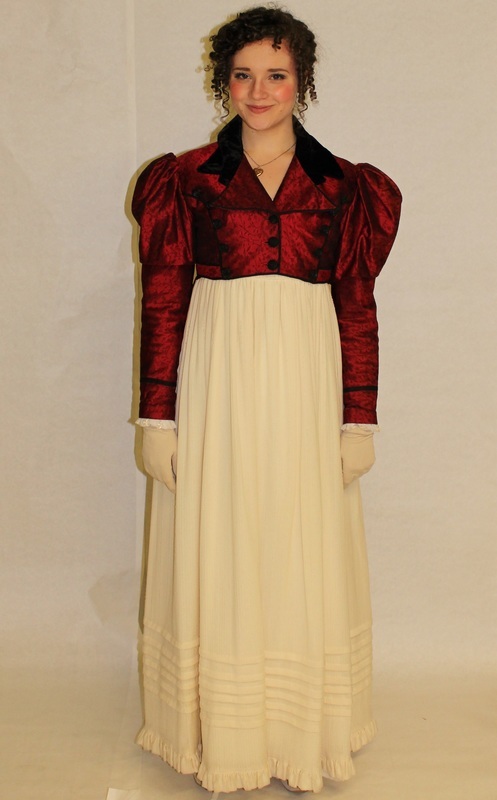 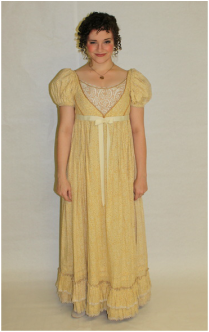 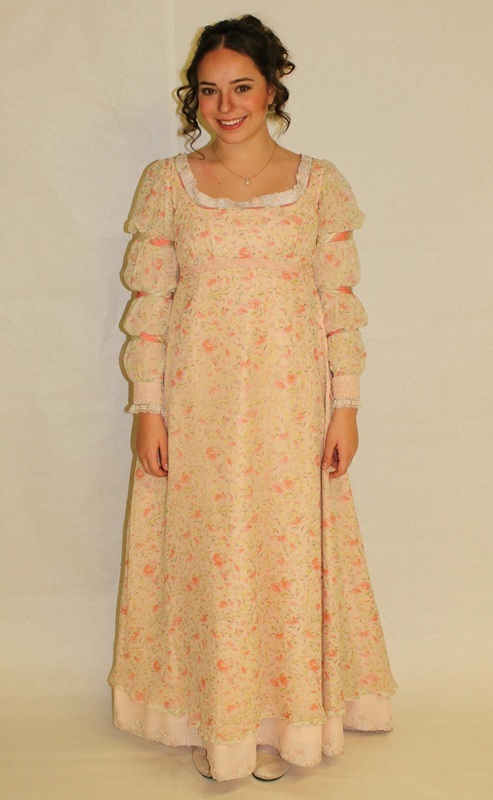 As assistant costume designer I worked on paperwork and helping the designer with pulling or renting stock. 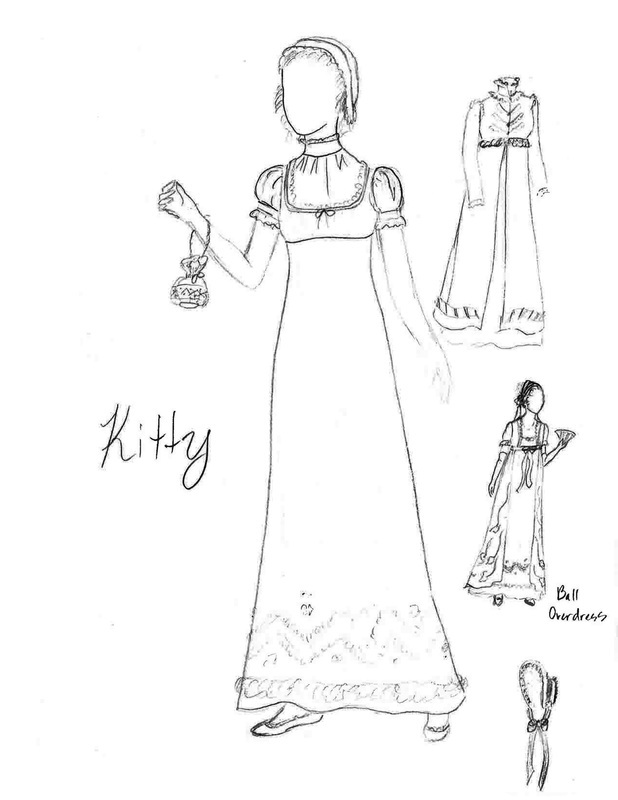 I was also fortunate enough to design two characters: Kitty and Lydia. 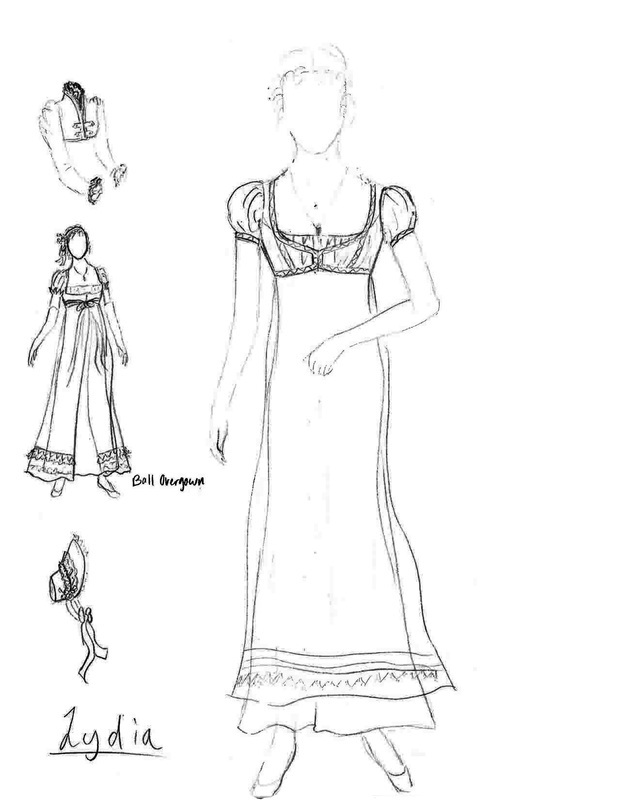 Lydia: Ball Gown As this show called for many quick changes, the ball gowns had to go over what the characters were already wearing.